If your sales-related job sometimes feels like a data-entry job, you’re not alone. Sales and business development professionals are often left with a pile of notes and to-do lists to process at the end of the day. The buying process has changed. As a result, Sales is feeling the pain from having a growing number of new tools. These tools require time for training and management, taking time away from sales activities. Digital marketers face a similar challenge, which has been addressed by centralized tools like HubSpot. Today, HubSpot has announced the release of centralized sales tools focused on accelerating sales and continuing to transform the customer experience for buyers. "We started HubSpot because we felt the way consumers shop and buy had fundamentally changed. The inbound movement has helped transform the world of marketing, and we really feel like there's a huge opportunity to transform the customer experience with sales technology that enables companies to sell more, better, and faster. ", says Brian Halligan, founder of HubSpot. Earlier this year, Knowmad participated in the development of the HubSpot CRM tool as beta testers. Needless to say, we’ve been looking forward to the release of this new tool. Let’s take a look at some of the key features and time saving tools. Need more transparency into your sales pipeline? The Sales Dashboard has got your number. At a quick glance, you can your deal forecast. Managing deals is easy. 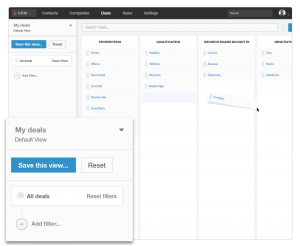 After adding a deal, you can use the drag + drop interface to move the deals through the sales stages. You’re given a typical sales process as a starting point for managing your deals but you’re not locked into what HubSpot dreamed up as your sales process. 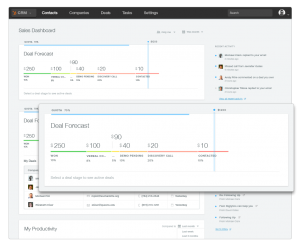 Instead, you can customize the sales stages to match your own unique sales process. This is great for companies who, for instance, offer demos or custom stages as part of their sales process. 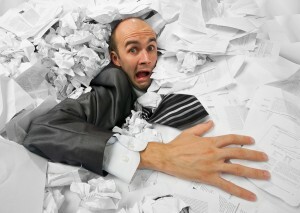 A CRM wouldn’t be a very good CRM if it wasn’t easy to manage contacts. What makes the HubSpot CRM unique is that it’s fully integrated with the rest of the Marketing Automation platform. There’s no additional CRM integration, which could potentially break. Contacts and companies are automatically associated and Leads are automatically de-duplicated. When a contact fills out the form on the website, there’s no need to add them to the CRM. They’re already in there. It’s easy to add contacts who haven’t yet filled out a form on your website and you can easily use any field from your web forms in your CRM view. In case you missed it, three time saving features just whizzed by in the paragraphs above: automatically adding leads to the database from the website, associating leads with companies and lead de-duplication. You’ll also find time savings when tracking, recording and retrieving past sales activity. The Timeline feature organizes every email, call, notes and website visits in one place. You can make outbound calls (for an additional cost), send emails, set reminders and organize your sales activity in one place. The system integrates with Google Calendar, letting you set and see calendar events for meetings without leaving the CRM. 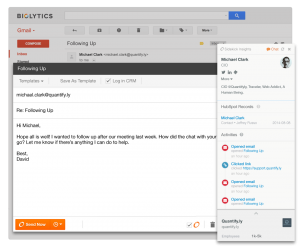 HubSpot CRM also integrates with Gmail, Outlook, Apple Mail and Google Apps. With a tool so easy to use, HubSpot CRM is sure to be a hero to sales folks who usually find themselves stuck with a lot of CRM note-taking to do at the end of each day. Every hero needs a good sidekick. 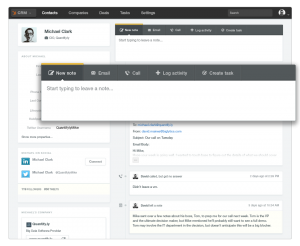 Sidekick is an evolution of the tool Signals, previously released by HubSpot, which promises to take the Signals idea to another level by connecting your inbox to your CRM. Like any faithful sidekick, it follows you around all day living in your browser. During the day, it provides insight about the companies and contacts you meet. Sidekick notifies you when, how and where contacts are interacting with you – opening your emails, visiting your website and more. Sidekick promises let you queue up messages from Gmail in Google Chrome so you send them when people are most likely to be opened and read. 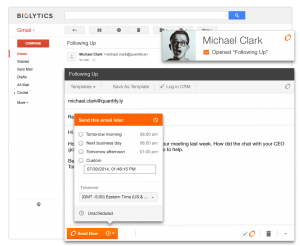 You can also set task reminders in the CRM from within Gmail. 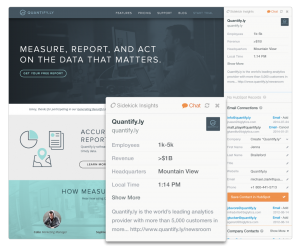 If you’re looking for more streamlined sales tools and less data-entry in your day-to-day, checkout the new software from HubSpot. Happy #hubspotting!